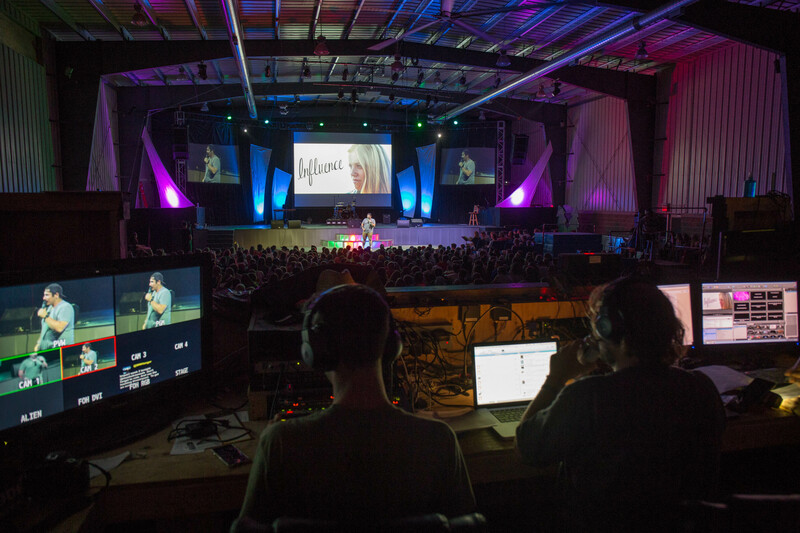 Groups of 300-800 are hosted in the Hangar, Muskoka Woods’ largest and most well-equipped venue. A generously sized elevated stage flanked by three screens, a sound system capable of 120db, and a full lighting rig will ensure you have the equipment needed to deliver a memorable experience for your group. When you rent the Hangar, a Muskoka Woods technician will ensure your speaker, religious service, play, concert, or full production will be delivered to your audience in a professional manner. 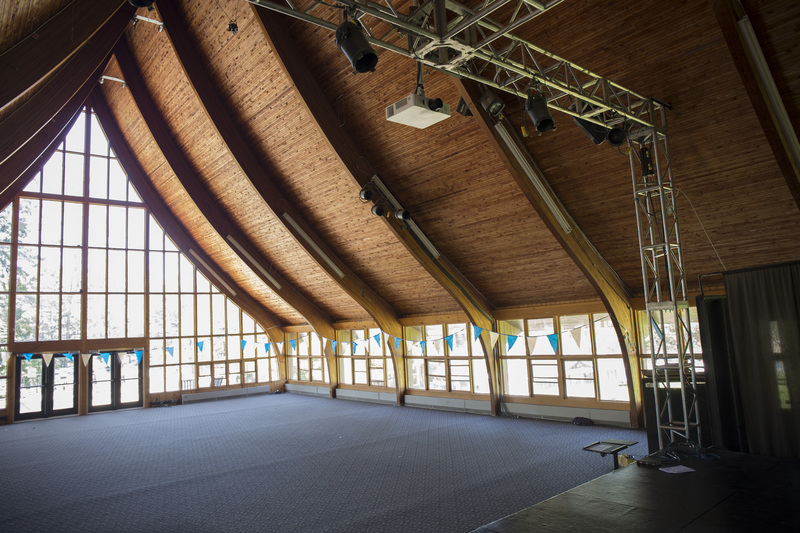 The Music Hall is Muskoka Woods’ second largest meeting space, located in the centre of camp, with a capacity of 300 people. This meeting space is equipped with a generously sized elevated stage, a centred screen, a sound system capable of 120db, and a small lighting rig. When you rent the MUSIC HALL you can either request the equipment needed and it will be set up prior to your arrival, or you may bring your own. A Muskoka Woods technician is not provided for the Music Hall, but there is a staff member on call to answer any of your questions. A conference room with a capacity of 50 people is also located on the lower level of the Music Hall. 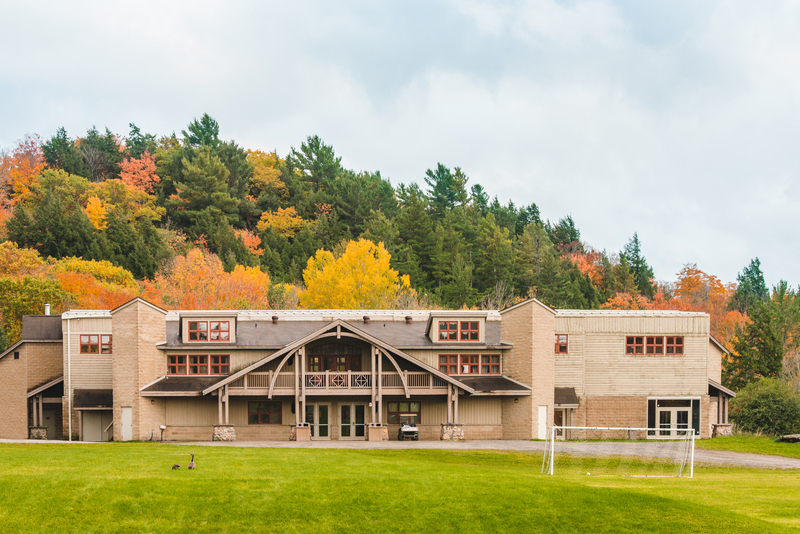 Muskoka Woods’ state-of-the-art gymnasium, located at the entrance of camp property, has a capacity of 500 people. This space is prime for volleyball tournaments, epic dodgeball games, or any fun indoor activity your group can dream up. Two conference rooms with a capacity of 50 people each are located on the upper level of the Fieldhouse. Your group is sure to love the stunning views of Lake Rosseau from the upper level of the Boathouse, an iconic Muskoka Woods building. The Boathouse hosts up to 120 people. 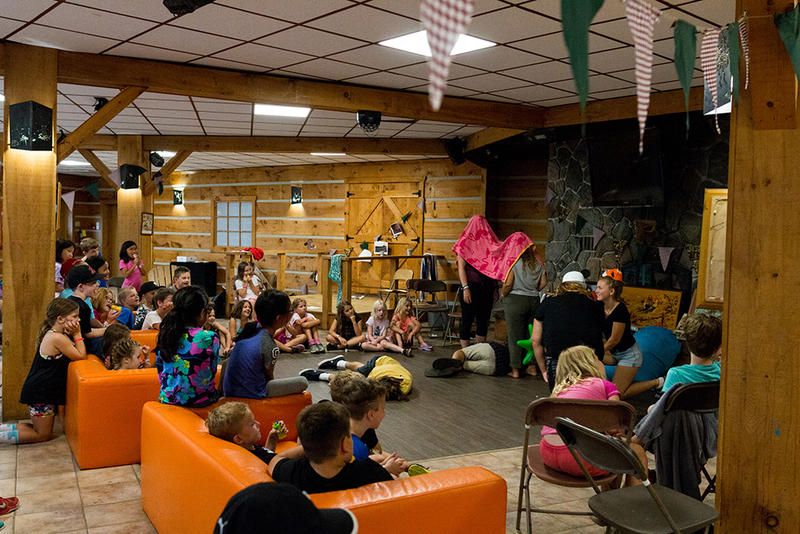 This cozy meeting space, outfitted with Muskoka chairs and a stone fireplace, is located in the lower level of the Dining Hall, in the centre of camp. The Underground has a capacity of 100 people. 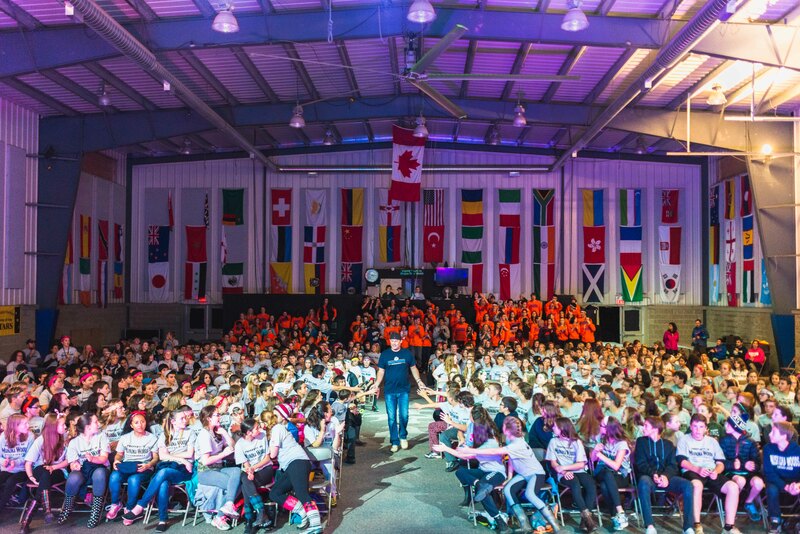 Hosting an event at Muskoka Woods? Click here for a printable PDF of the audio/visual inventory in our meeting rooms.